Transferring domain names from Fast hosts. Generally domain names registered with Fasthosts will be managed via ukreg.co.uk. Transferring a domain name to us is a fairly simple process, however there is a set order to how things need to be done to avoid delays. Heres our step by step guide to transferring a domain name from Fasthosts to your Powered By Penguins account. 4. Select the domain you wish to transfer away from Fast Hosts. 6. Enter “EXTEND” as the new TAG – Note this is all capitals letters! 8. Enter the domain name you wish to transfer away from Fast Hosts, and click “Check availability” Once the domain name has been checked, you can select “Continue” This will take you through the check out procedure. 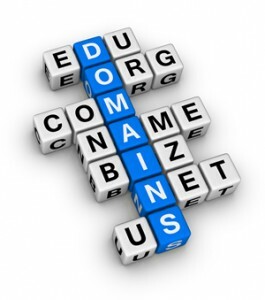 In the case of .co.uk domain names, these transfer completely free of charge. Transferring .com domain names is a slightly different process. 7. Enter the domain name you wish to transfer away from Fast Hosts, and click “Check availability” Once the domain name has been checked, you can select “Continue” This will take you through the check out procedure. In the case of .com domain names, these transfers incur a charge of £5, however 1 years registration will be added to the expiry date. 8. Email domains@fasthosts.co.uk with the domain you wish to transfer and the name of the new provider i.e. PoweredByPenguins.co.uk. 9. The transfer should complete within 24 – 48 hours. As always, if you encounter any issues either with transferring domain names or with other queries in setting up your web hosting account please open a ticket and we will guide you through the process.